Now named bosses will drop Books with Memory points and Learning points to make crawling through non-quest dungeons more rewarding. 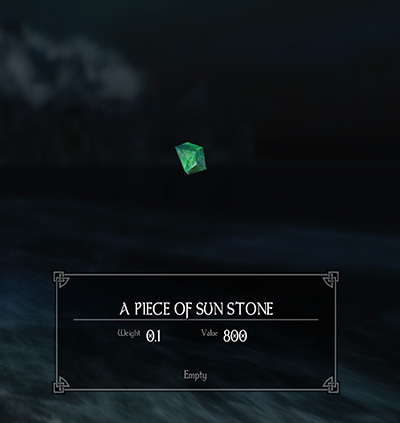 Optional: Sun stone drops, that function like Skyrim's Black Star. Named bosses will drop Books with Memory points and Learning points to make crawling through non-quest dungeons more rewarding. 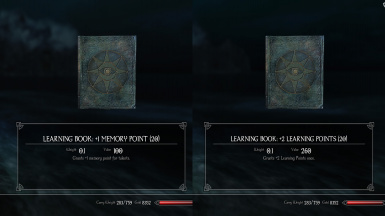 Book drops are based on Boss difficulty, Memory point Book only from strong ones. Optional: 7 bosses will drop "A piece of Sun stone" (remember Sun Fire in Thalgard? I'm not sure it's very lore-friendly, but better than nothing). It functions like Skyrim's Black Star. Bosses: Archivist, Crystal Widow, Ewa (no Ewa in Forgotten Stories), Krustis Darkhand, Urtas, Zu-Sherath, Yogosh. Just drop esp into Data folder. "Boss rewards - Books" can be combined into Bashed Patch. Very simple mod, won't break anything. but there's not much like it on nexus. Enderal - Myths and Legends Improved﻿ - put it after my mod, you'll still get books for all other bosses in game. Enderal NPC Overhaul is fully compatible since v1.7.